Cranbury, NJ —A novel drug is showing significant promise in early-stage (ES) triple negative breast cancer (TNBC), offering renewed hope to patients with these difficult-to-treat solid tumors. According to data presented recently at ESMO 2018 in Munich, Germany, the HER2-targeting peptide immunotherapeutic vaccine, nelipepimut-S (NPS) demonstrated significant clinical activity when administered in combination with trastuzumab given after front-line therapy in early-stage hormone receptor (HR)-negative, HER2 low–expressing, (triple negative) BC in a clinical study. This was a prospective, randomized, controlled Phase 2b clinical trial, the “H+N study,” designed to determine the safety and efficacy of the combination of NPS (administered with sargramostim [GM-CSF] as NeuVaxTM, Sellas Life Sciences Group) + trastuzumab (Herceptin®; Genentech/Roche) compared with trastuzumab alone in the adjuvant (or maintenance) setting in preventing recurrent disease in women with ESBC with HER2 low-expressing tumors (defined as HER2 expression levels of 1+ or 2+ by immunohistochemistry [IHC]) who were at high risk for recurrence following completion of front-line surgery and neoadjuvant or adjuvant chemotherapy +/–radiation. Both full safety and efficacy data from a prespecified interim analysis (with a median follow up of 19 months), as well as top-line data from the final analysis of the trial results (with a median follow-up of 26 months) were presented. A total of 275 women were enrolled and 261 women were treated in the study, in which the primary endpoint was disease-free survival (DFS) rate (%) at 24 months (by landmark analysis); secondary endpoints included DFS rate at 36 months, safety, and immunologic response (by in vivo cutaneous delayed-type hypersensitivity and antigen (HER2)-specific T-lymphocyte (CD8) frequency in peripheral blood. In women with TNBC (n=98), and with a median follow-up of 19.3 months (interim analysis), there was a meaningful and statistically significant difference in 24-mo DFS rate in favor of the NPS + trastuzumab arm over trastuzumab alone (91.1% vs. 69.9%; P=0.023). This benefit was further strengthened in the final analysis (with approx. 7 months of additional follow-up time), showing a 24-mo DFS rate of 92.6% vs. 70.2% (P=0.013) in favor of the combination. The benefit of the combination therapy was numerically maintained at the 36-month timepoint. Moreover, the rate of disease recurrences (by actual frequency calculation rather than actuarial estimation) in the TNBC population also favored the combination arm (7.5% for NPS + trastuzumab vs. 26.7% for trastuzumab alone; log-rank P=0.023). No differences in the distribution or severity of treatment-related adverse events (TRAEs) were observed between patients receiving NPS + trastuzumab vs. trastuzumab alone, with most TRAEs being grade 1 or 2 local injection site reactions, which are expected given the mechanism of action of NPS as an intradermally administered peptide vaccine. Importantly, there were also no significant differences in the rates of cardiac-related adverse events or serially measured left ventricular ejection fraction measurements over time between the treatment arms. 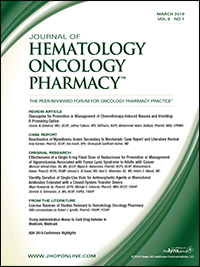 The results of this interim analysis demonstrate that the combination of NPS + trastuzumab is safe and may provide clinically meaningful benefit to women with early stage HER2 low-expressing breast cancer, with a particularly marked benefit in the subgroup with TNBC, which represents an underserved population with a high risk of disease recurrence and death. These new results corroborate earlier findings and the rationale behind doing the study in the first place. Indeed, the NPS vaccine stimulates production of T-lymphocytes against cells expressing HER2 receptor, which then prevent recurrence of the cancer. In some patients with BC, expression of HER2 on their tumors is so low (IHC 1+/2+) that trastuzumab alone will not be sufficient for an antitumor response through HER2 signaling inhibition or antibody-dependent cell-mediated cytotoxicity. In these patients with HER2 low-expressing BC, and especially women with TNBC, NPS appears to synergize with trastuzumab through immunological mechanisms. Moreover, the combination is potentially broadly applicable, as the NPS vaccine can induce strong immune responses against HER2 in the context of a set of specific human leukocyte antigen type A haplotypes that are highly prevalent in North American, European, as well as Asian populations. The effect seen in the clinic with the drug combination tested has a sound pharmacodynamic foundation. Administration of trastuzumab is able to enhance the immunogenicity of HER2, through modulation of MAP kinase-dependent signaling but also via internalization of HER2-trastuzumab complexes. The latter molecular complexes are then processed in the tumor proteasome with shuttling of HER2 peptide fragments back to the breast cancer cell membrane where these peptides are presented to antigen-presenting cells (macrophages, dendritic cells, and monocytes) in an MHC class-I context. It is exactly this trastuzumab-induced increase in the load of HER2 antigen fragments that leads to synergy with NPS (NeuVax) therapy, as the latter induces HER2 (NPS)-specific cytotoxic T-lymphocytes that are now ready to seek and attack tumor cells. The end result is potent activation of the cellular immune cascade and an antitumor effect, which would be optimally manifested in low tumor burden settings in the clinic, such as the adjuvant (maintenance) therapy phase.